Sound the trumpets, cue the balloons, and roll out the red carpet! Entertainers strive for years to make dreams a reality by hosting the best parties and celebrations. Throwing a grand opening is not just about cutting a ribbon or landing the hottest DJ in town. Grand opening events are not only parties, but celebrations of a new beginning. It gives you a chance to leave a remarkable impression of your business on potential customers that witness the magnificent event. Why not do this in the best way for everyone? Why not celebrate uniquely to mark your grand opening celebration in everyone's mind for years to come? Apart from the food and drink, celebrity appearances, and giveaways, what else can brew excitement in the air? By renting a bounce house during your grand opening will make your event a fantastic one. Given that kids are part of every party, and grand openings are no different. Invite families with children to this wonderful event! Here is the list of some important things you keep in mind when renting an inflatable for a grand opening celebration. Whenever you rent a bounce house for your special day, you want to make sure that the rental company has insurance and is a license holder of this field as well. Many companies, who state they are the best, only really cover a few bounce houses at certain events. In our case, our insurance and license is universal for any renter. It's best to know which companies have the best interest for the renter, and more importantly the little bouncers. Before renting a bounce house, always consider the age of the bounce house and condition as one of the more important factors. While uniqueness and style of bounce house do a lot to invite guests, safety is also very important. Ensuring that when children are jumping up and down inside doesn’t lead to any tearing or leakage keeps your happy and satisfied. 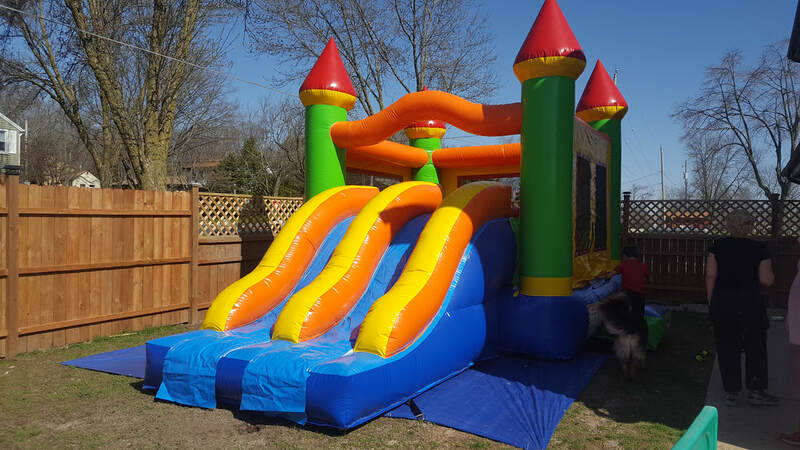 It is important that you know that the company from which you are renting an inflatable should inspect it on a regular basis, and that is exactly what we do. We conduct a thorough inspection after every event to ensure cleanliness and condition. Cleanliness is another important facot that you should keep in mind when renting a bounce house. Make sure that the company has maintained good condition, both inside and outside this bouncy structure. Hygiene is crucial because an untidy and filthy inflatable can cause health issues and infections. Be sure to check the cleanliness of a bounce house and make sure the company uses eco-friendly solutions to keep the inflatable free from germs and debris. If any changes occur to the weather once renting, it is important to know what added features your company will provide or what actions they will take? We are very open minded to the ever changing elements in Wisconsin. We know that sometimes these weather conditions can change in a matter of minutes, so therefore we are very open to ensuring that your experience isn't a complete wash. 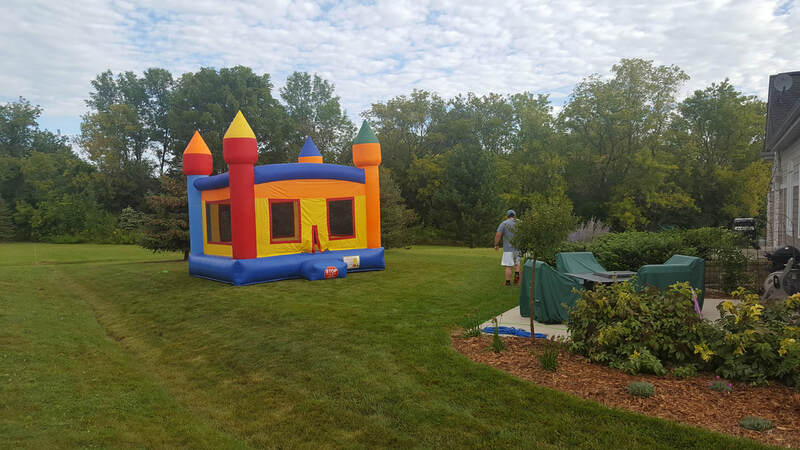 Most of the party planners and hosts opt for a bounce house as a part of the event because the chances are high that some kids will be in attendance. It is very important that while bounce houses are a great entertainment to have, it is equally important that adults are in the area watching over them. With children and all their bundled energy, it is still a good idea to have someone look after them to ensure safety. It will be the responsibility of the adults to guide them and explain which inflatable is suitable and monitor how many are in at a given time. Make your grand event grander and let everyone have a blast at your grand opening!